Urban was recently named a Diamond Level winner at GVF’s annual TDM Breakfast. 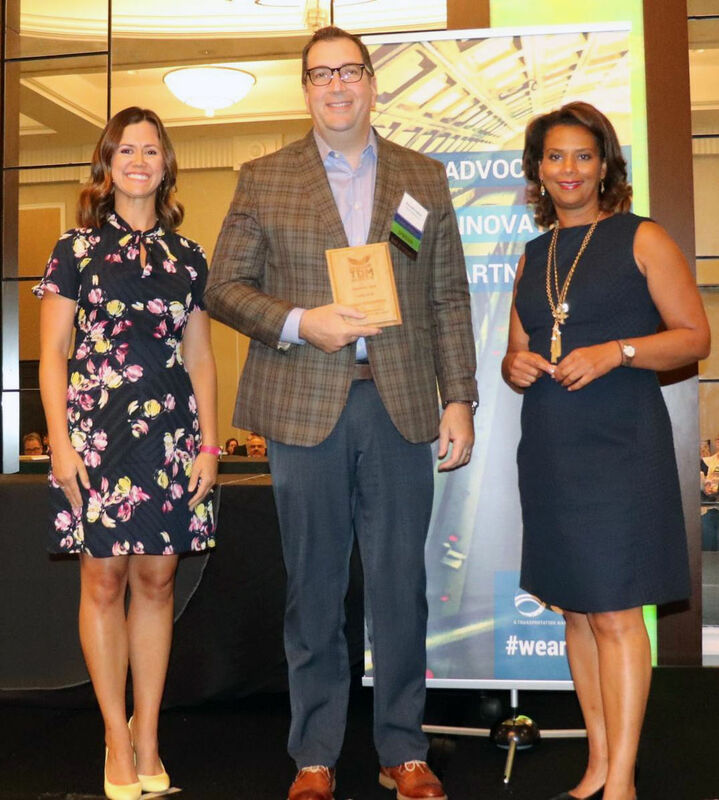 The award represents the firm’s commitment to programs and initiatives that help reduce congestion and improve air quality, through travel demand management and best sustainable practices. Urban is a previous eight-time winner of the program. Diamond Level was added two years ago as a new goal for organizations to strive toward. Urban was recognized at this level for many of its programs, including offering incentives to employees for walking, biking, carpooling/vanpooling, or taking transit to work, and for offering the maximum pre-tax transportation benefit, as defined by the IRS. The TDM Breakfast featured a keynote from Wendy Duren, the program director for the Arlington Transportation Partners. Tamala Edwards, 6abc Action News anchor, served as the master of ceremonies, distributing sustainability awards to over 30 organizations.